Results: Ricky Burns escapes Kiryl Relikh, just – Adrien Broner Vegas fight next? 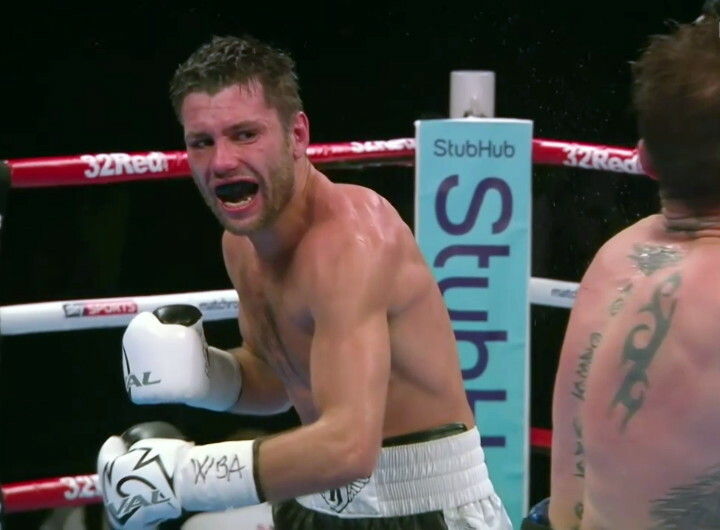 Ricky Burns came through his first WBA 140-pound title defence last night in his Glasgow fortress, but the 12 round unanimous decision he picked up against a fierce and determined Kiryl Relikh raised plenty of eyebrows. The fight was a war and it was a shock when, after the 12 gruelling rounds were over, the final scores of the three judges were so wide in favour of Burns. 116-112 (twice) was bad enough, but the 118-110 tally handed in by the third judge was abysmal, and insulting to the magnificent effort put in by Relikh. Ideally, in a fair world, Relikh, now a far bigger name than he was prior to last night’s defeat, the first of his career, would be granted a rematch. It doesn’t look like happening, however, as Burns – a one or two point winner in the opinion of many observers last night, with a good number having Relikh the winner by a similar margin; with others feeling a draw would have been the fairest result – is looking at a big Las Vegas fight with Adrien Broner next. So it appears both Burns, now aged 33 and 41-5-1(14), and Hearn feel there is plenty left in the tank for the three-weight champ. But Burns would enter a Broner fight as a significant underdog, and a December date would perhaps be taking the fight too soon, especially as last night’s battle was so punishing. But Burns, occasionally with the aid of some controversial scoring (see his 2013 draw with Raymundo Beltran down at lightweight) has a way of leaving the ring without a loss; basically, you write him off at your peril. Still, Burns is unlikely to benefit from anything approaching, shall we say, favourable scoring, in Las Vegas. Can Burns beat bad boy Broner all the same? As for 26-year-old Relikh, now 21-1(19) he will surely come again. You are here: Home / Boxing News / Results: Ricky Burns escapes Kiryl Relikh, just – Adrien Broner Vegas fight next?